Their presence in local fields and waterways is a signal for chicken owners to be especially on guard against avian influenza or “bird flu,” commonly found in wild waterfowl. The virus can spread to chickens and other domestic poultry causing significant losses. Whether you own a large flock or just a few backyard chickens, it is important to keep your birds separated from wild birds, which can carry avian influenza without showing any symptoms of illness. In chickens, telltale signs of avian influenza include depression, lack of appetite, diarrhea, soft or misshapen eggs, and sudden and increased deaths among the flocks. 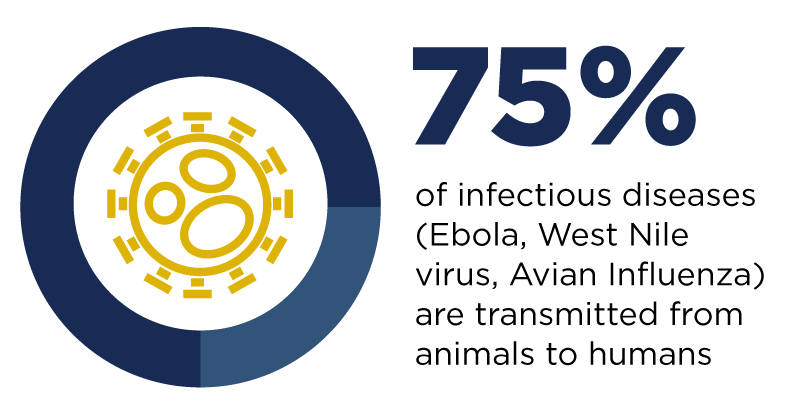 While the risk of avian influenza transmission is higher in the fall due to the increased number of waterfowl present, it is important to recognize that waterfowl and other wildlife that carry diseases are a constant risk to our chickens’ health. Use soap and water or hand sanitizer before and after working with chickens. 2. Designate a pair of boots or shoes for use only in the coop. And if you hunt waterfowl, make sure your hunting clothes and equipment are kept separate from your domestic poultry. 3. Prevent wild animals and waterfowl from coming into contact with your chickens. If you have a pond or other body of water that would attract waterfowl, consider draining it, if that is practical. To reduce the risk of introducing disease into your flock, isolate any new birds for 30 days before adding them in with your birds. 5. Use reputable sources, store feed safely and check the water supply. Always obtain birds from reputable, disease-free sources that put good biosecurity standards into practice. Purchase feed from clean, dependable sources and store it in containers that are safe from birds, rodents and insects. Provide your birds with clean, fresh water at all times. 6. Place footbaths on a concrete pad or pallet. If you use a footbath containing approved disinfectants to disinfect shoes and boots, place it on a concrete pad or pallet to prevent dirt from being tracked into it. Make sure to change the disinfectant daily. 7. Report signs of illness. Report any signs of illness or increased deaths among your flock to your veterinarian or the Sick Bird Hotline at 866-922-BIRD (2473). In addition, necropsies are offered by the veterinary school’s California Animal Health and Food Safety Laboratory System. For more on poultry care and management, visit the UC Davis School of Veterinary Medicine-Cooperative Extension Poultry website and the California Department of Food and Agriculture’s Avian Health Program website. Pat Bailey of UC Davis News and Media Relations writes and supports communications about agriculture, animal health, food science and nutrition, and biotechnology.